MobileHippo: MobileHippo 2013: That's a Wrap! 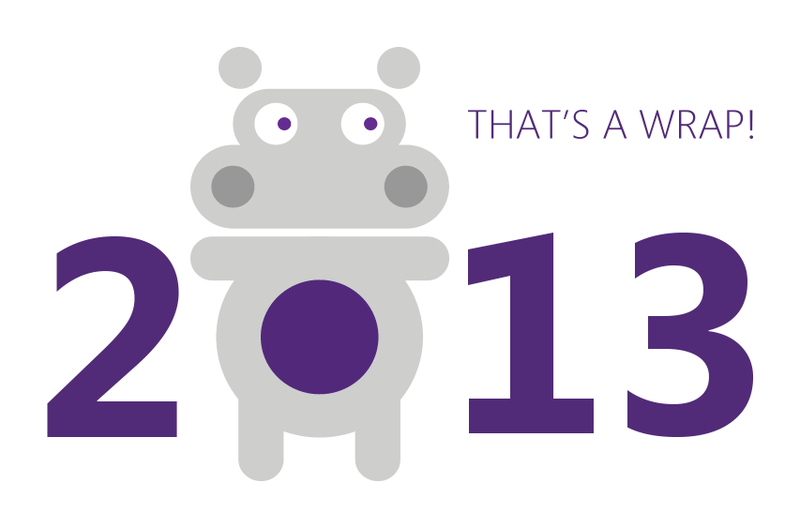 MobileHippo 2013: That's a Wrap! We’ve made a lot of great progress over the last year to improve your MobileHippo experience. Here are a few things you may have missed. Yes, you are getting that much traffic from mobile. MobileHippo's new Activity page will show you total page views, which pages receive the most traffic, which mobile devices are viewing your site the most, and how often your QR codes are getting scanned. Navigation, navigation, and more navigation. We introduced new navigation options like Images, Icons, Buttons, and Tile Menus. Not only that, you can now customize individual navigation items with icons and background colors. Facebook, Google+, Instagram, and Flickr photo albums. Using our new photo album widgets, you can add photos to your favorite social media site, and they will automatically be added to your mobile site. Restaurant menus and hours. Enter your menu and hours on Locu, and publish them on your website, mobile site, and across the web. MobileHippo’s Locu widget will automatically update your mobile site whenever you update Locu. Mobile data collection. Turn your forms into mobile web apps. MobileHippo’s form builder received multiple upgrades this year with the addition of Auto Numbers, Find Me (Geolocation), Hidden Fields, and Restricted Access. Thanks to you, we’ve had a wonderful year. We look forward to 2014. Happy New Year from all of us at MobileHippo.